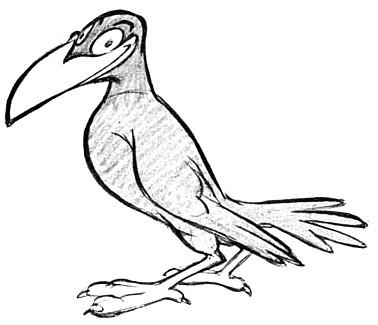 Learn how to draw cartoon crows and ravens by following the simple, step by step cartooning instructions found below. 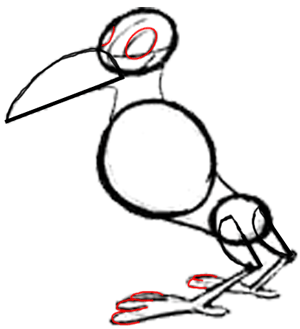 This will also help you draw other types of birds. 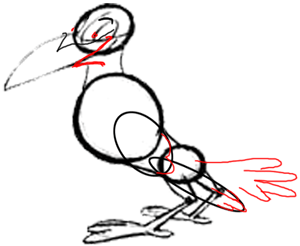 You Might Like Our Other Bird Drawing Tutorials as Well as our Animal Drawing Lessons. 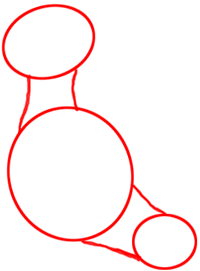 Firstly, start off by drawing an oval in the center…with 2 smaller ovals on the outside…then draw curved lines towards these ovals. 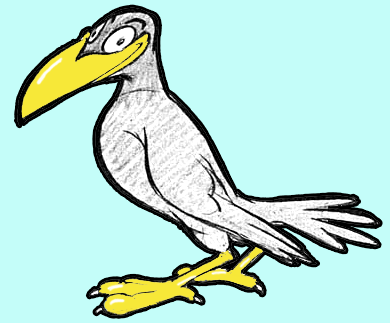 Now draw a big, sideways capital letter ‘D’ for the beak…and 2 small capital letter ‘D’s for the bird’s thighs. Now lightly draw curved lines around the face as guidelines…these will help you place the facial features later on. Also draw 2 lines for each leg. 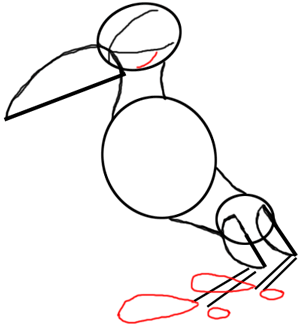 Now draw 2 curvy explanation points for the feet. Draw ovals for the eyes….one is only partial because it is on the side of the face that you can’t see. Draw sideways number ‘3’ shapes for toes. Draw ovals for the side wing. 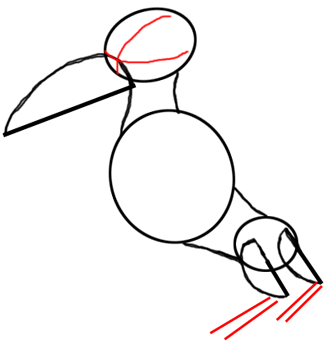 Draw a number ‘2’ shape above the beak. Draw downwards curved lines for eye brows. Draw dots inside the eyes. 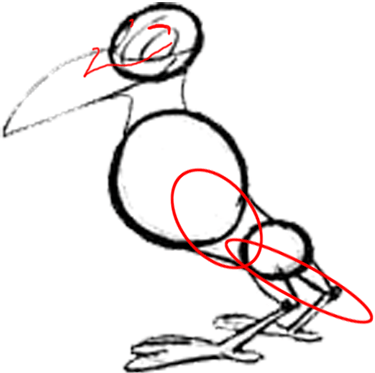 Draw a number ‘2’ at the side of the beak. 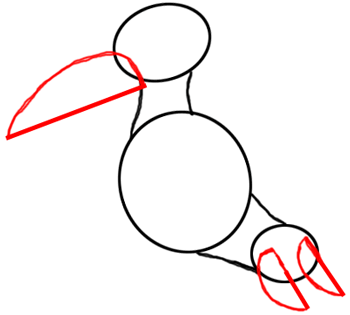 Draw letter ‘u’ shapes for the back wing and on the front wing too. Draw in extra details to finish things ovff…such as the claws. 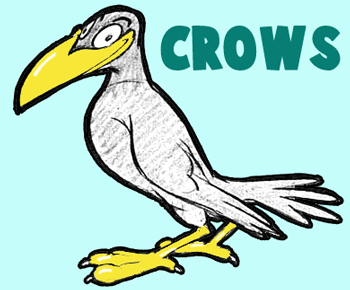 Color in your Crow / Raven is you want to. I hope that you had fun today.